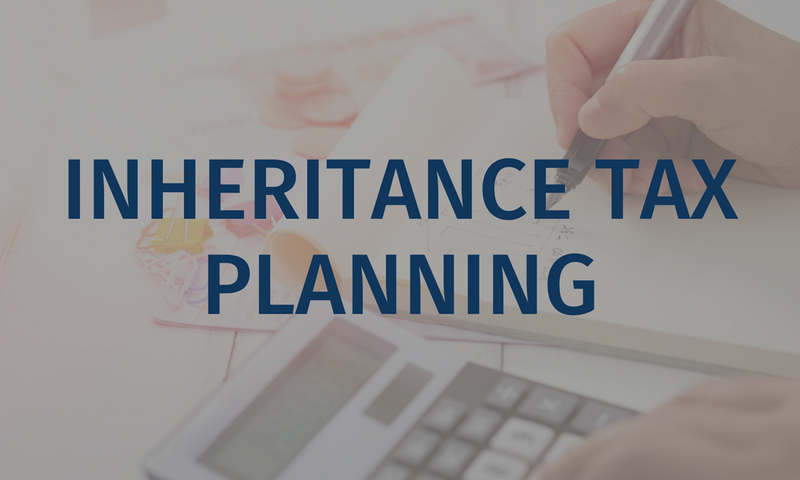 Inheritance tax (IHT) is one of the oldest forms of tax in the UK after it was introduced way back in 1694. Now, some 220 years later, it’s still a great earner for HM Treasury with the government reported to collect over £5 billion from IHT this tax year. Inheritance tax becomes an issue when someone passes away; it is a one-off tax paid on the value of the deceased’s estate above a set threshold – which is currently set at £325,000. Luckily, this is something we deal with on a regular basis. We use our professional knowledge on tax to advise our clients how they can plan ahead to help you reduce that overall payment. So, how can you minimise inheritance tax? If you are married or have a civil partner, he or she can inherit your entire estate without facing any kind of inheritance tax bill. For example, if half of your house is worth £200,000, and you have another £200,000 in assets of any other kind, you can pass the whole lot to your spouse/civil partner without a charge. Another way to reduce inheritance tax is to give some of your inheritance away as a gift. Current rules state that you can gift up to £3,000 a year, plus make small unlimited gifts of £250, free from inheritance tax. The annual gift allowance can be carried forward to the next year, meaning that you could give up to £6,000 in one year. Other forms of gifts can include wedding gifts (this does depend on how close to their wedding date the couple are), in which parents can give cash or gifts up to £5,000, Grandparents can give up to £2,500 and anyone else can give up to £1,000. There is also a way to reduce your inheritance tax rate from 40% to 36% of your taxable estate by giving to charities or other organisations such as museums and amateur sports clubs. Again, if you are married or in a civil partnership then you can give each other any sum you like free of inheritance tax, provided that your partner lives in the UK. If you are planning on leaving someone a large sum of assets when you pass away, it can be beneficial for the receiver if you do this while you are still alive. You can hand over as much as you want, to anyone you want, in the form of ‘Potentially Exempt Transfers’. As the name suggests, these transfers are only potentially exempt from inheritance tax. The gift is only made exempt from inheritance tax if the giver lives for another 7 years; if the giver dies before the 7 years, they will be added to your estate and if the estate is worth over the £325,000 cap, then the gift will attract some inheritance tax- however, this is reduced depending on how long the giver lives after making the gift. The gifts outlined above can help reduce your bill, but there is no way to ‘avoid’ inheritance tax and there are other things which will not have an impact. You cannot, for example, give away your property to your children and then continue to live there free of charge as a method to avoid tax. If you give the property away and move out, tax will be exempt after 7 years. However, should you give away the property and wish to remain living in the property you will be expected to pay a market rent- and the owner will need to pay income tax on that rent. Our team of financial advisors can help you organise your cash in a way that will mean your relatives do not end up having to pay more inheritance tax than necessary after you’ve gone. Contact us today to discuss your inheritance tax options.